The Beautybox 65 comes with a dull white inside coating. This prevents the creation of double shadows, which is usually common with beauty reflectors. Classically, a beauty box uses only one small counter reflector. 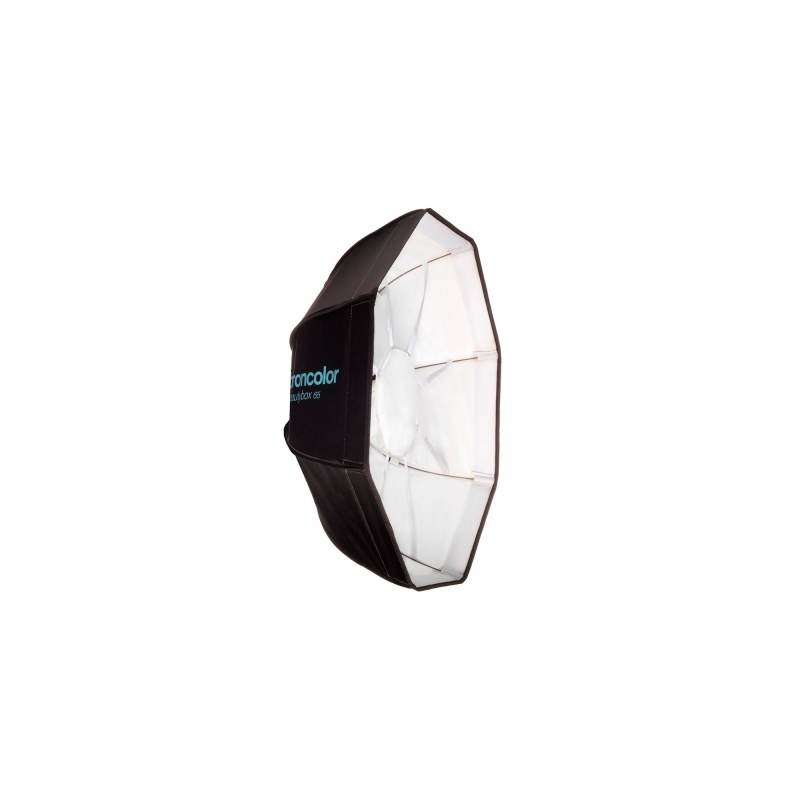 Included with the Beautybox 65 is a double sided gold and white double reflector and an additional transparent white one. In addition, a front diffusor is included as well. When mounted, the light of the Beautybox 65 is similar to one of an Octabox. A textile grid is available optionally.